It’s a road bike, and I also bought the proper lights that I need to ride it at night. 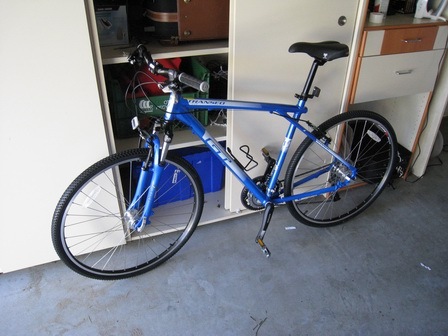 I have yet to try riding it to work (which is quite a distance and it’s a bit hilly), but I’m hoping that on nice summer days I’ll commute on my bike instead of in the car. Let’s see how that goes… Still thinking of doing some proper mountain biking sometime soon. 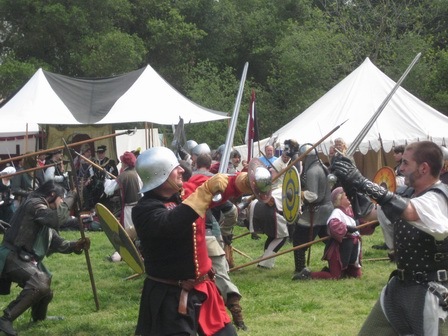 It’s a Renaissance Faire…or is it? 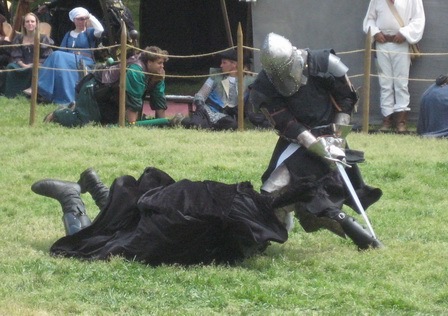 Last weekend some friends and I went to the Renaissance Faire in Escondido. Now, my fellow European readers might be wondering why the heck would they have such a thing here in the US, considering that the country didn’t have anything to do with the Renaissance. The only answer I can give you is, beats me. They just like to dress up? 🙂 Anyway, even though a Renaissance Faire might seem a bit awkward it was actually good fun. 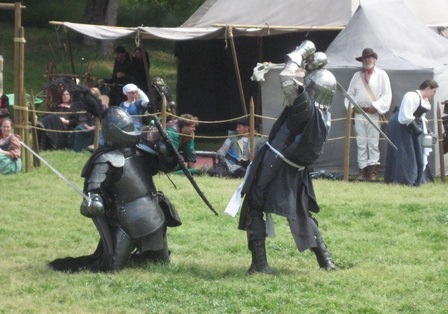 They had a big mock battle, which was pretty cool. You could eat a whole turkey leg (which, of course, I did) and test your skills in archery. One thing that I found strange was the fact that there were quite a few pirates running around. I mean, sure, they were active during the Renaissance, but I wouldn’t really associate them with the “Renaissance spirit”. The coolest thing we saw was the battle for the bone. The guys and gals partaking in this particular fighting event were really fighting seriously. The rules are simple: There are two contenders. Each contender holds on to a bone with both hands. The winner is the first person who cannot hold onto the bone with at least one hand. Once a hand has slipped from the bone you cannot hold onto it again. 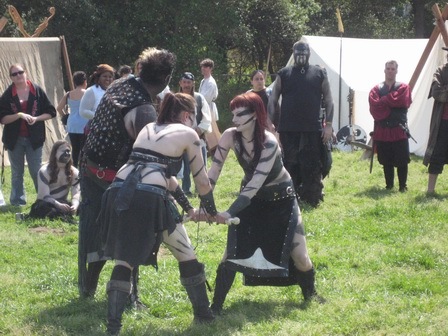 Some of the fights were really fierce, almost like UFC fighting (okay, maybe not ;)).